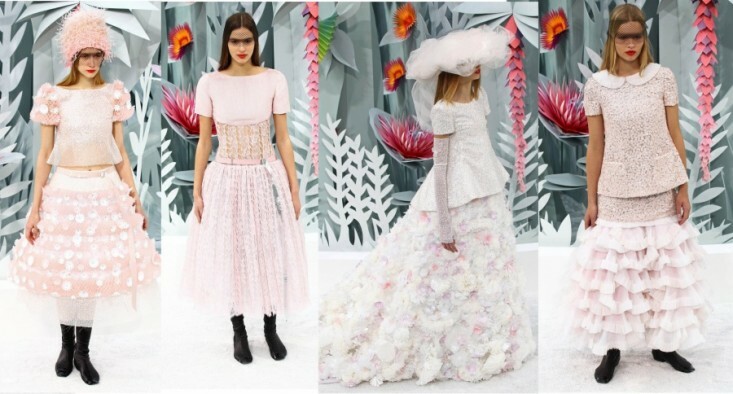 The beautiful and popular show of Karl Lagerfeld for the new collection of Chanel. 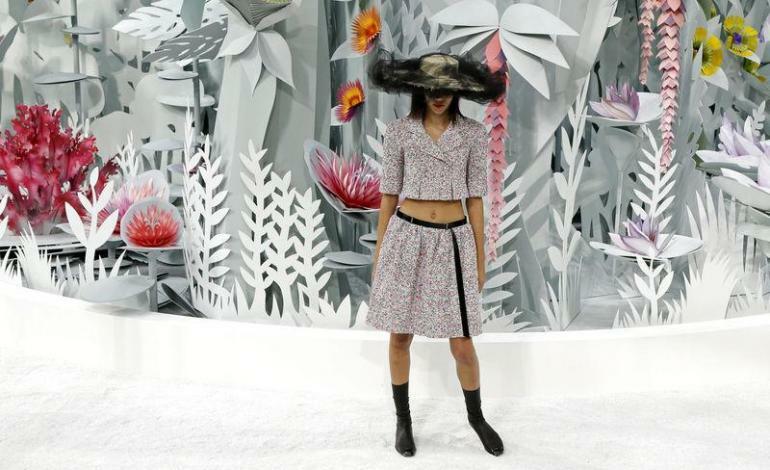 The runway turned into a paper jungle with gardeners wearing straw hats, khaki pants and holding waterless cans. 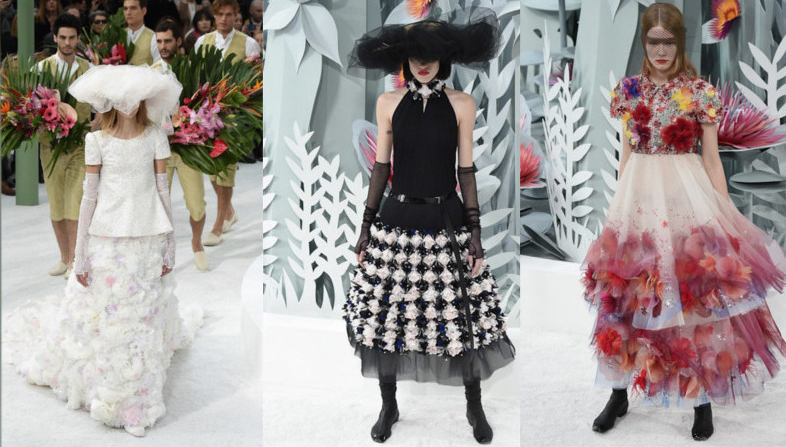 The extraordinary fabrics only Chanel can create. Ofcourse the famous tweeds are recreated with embroidered hand stitching and the familiar suits rejuvenated by slicing the jackets and the skirt tops to leave a patch of bare skin. The designs have delicate and light floral or sorbet colours. After showing the block-colour wool/tweed suits with A-line skirts with long jackets, Chanel introduced a new line; narrow and just under the hips with a thin fabric belt with a long loop. Also wearing flat leather boots and delicate crop-tops. 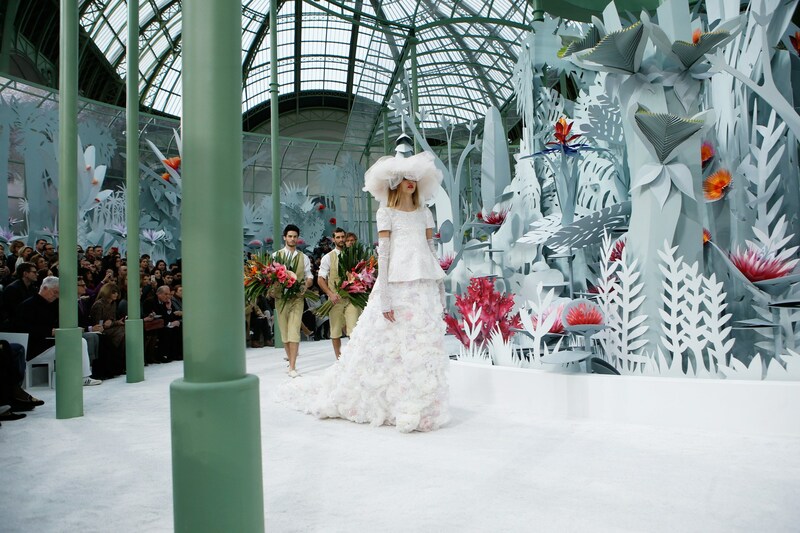 Flowers were everywhere, creating a fairytale fashion show. 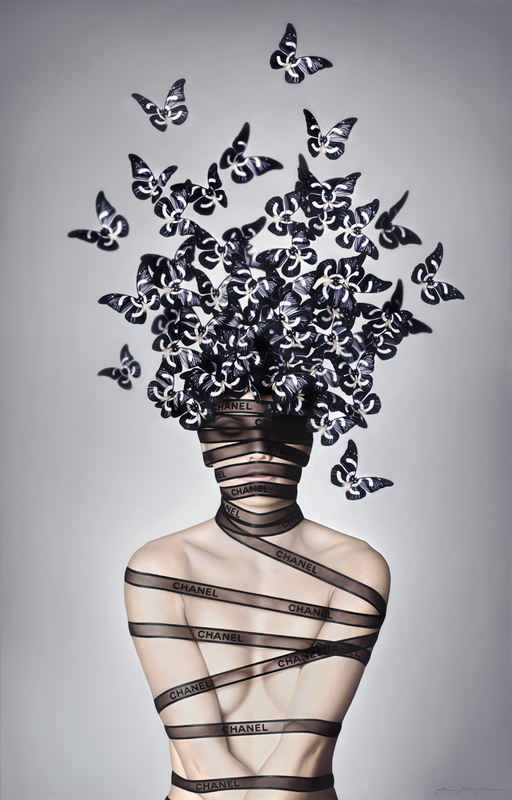 The hems, shoulders to the arm warmers of tulle and decorations in the hair. The official movie of Chanel N°5 with Gisele Bundchen & Michiel Huisman! View Gisele Bündchen working for CHANEL,the making of the N°5 film, not only as a model but also as an amazing actress. What a beautiful person to watch and great qualities. She’s still the most incredible model. But why I’m showing this movie as well is because of Michiel Huisman, a Dutch actor playing in Games of thrones. Very proud to see him in the new CHANEL N°5 film. And isn’t he handsome! 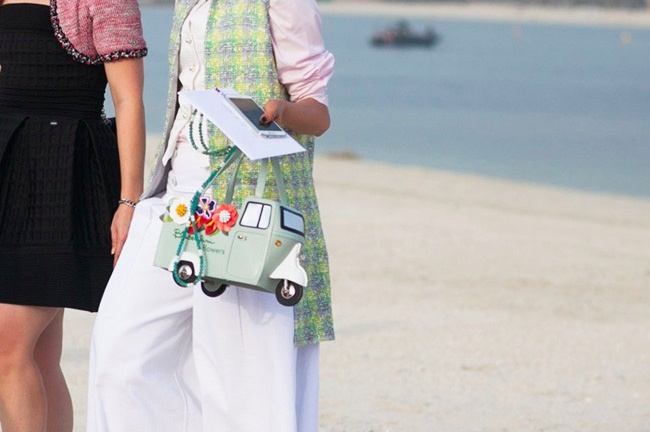 Presenting the Chanel’s Cruise collection for 2015 in the desert of Dubai. Look how great the VIP guests dressed for this event. 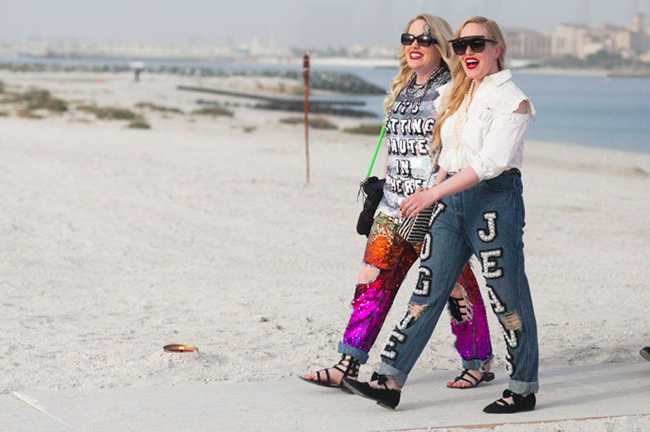 For more street-style shots..